V-tron Carsharing: V-tron is introducing its new business line: “Car Sharing” specially designed for the business market so that it can use its fleet as simply and efficiently as possible. Every vehicle is used much more efficiently by car sharing. The user can quickly make use of “temporary” transport in a simple way. The user reserves a vehicle via a reservation system and can then pick up the vehicle at an agreed location and time with a special reservation card (Chip card). After use, the vehicle can be returned and logged off with the reservation card. The V-tron Car Sharing Kit ensures cost-effective and reliable communication through the online car sharing reservation and management system. The online system provides a range of services, such as management of reservations, live vehicle tracking, (ride) reporting, fuel consumption and various security options. Warns if the vehicle runs too long stationary. 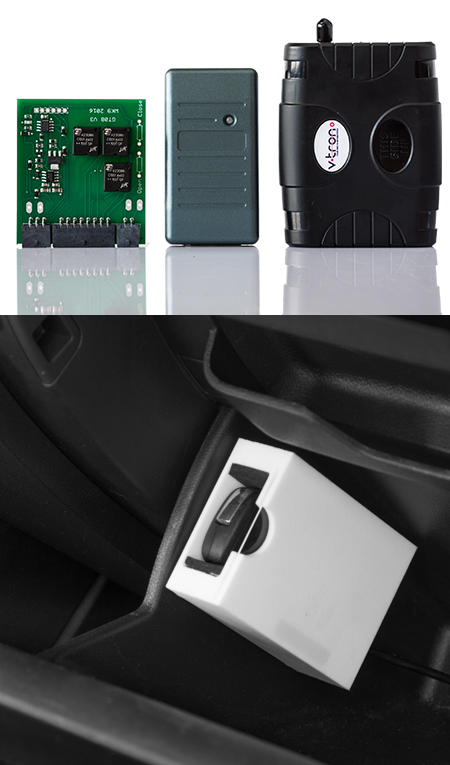 Car-Kit (hands free): Allows the Car Sharing user to make and receive calls in the vehicle. To prevent abuse there only can be called with one, pre-programmed number. This number can be chosen freely, which is often the helpdesk. Fuel Level Measurement: By making use of a Fuel sensor, one can measure the fuel status of the vehicle. This option can also be obtained on any fuel card, e.g. MTC, TC or Shell.